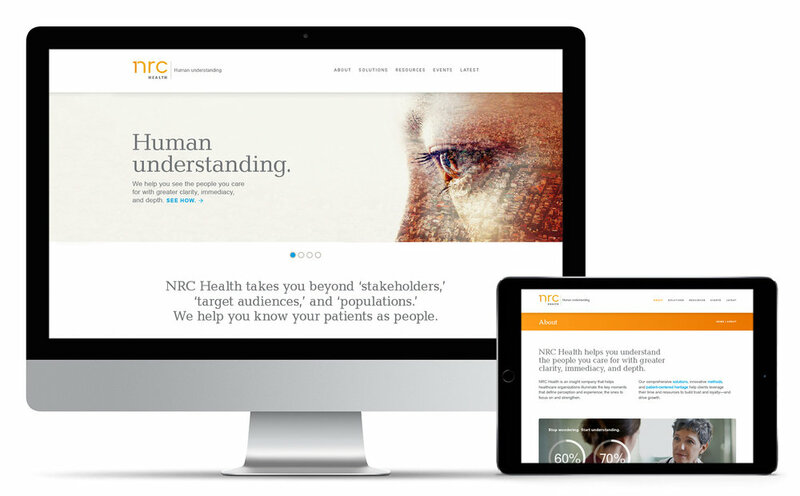 NRC Health is a healthcare analytics company that helps organizations understand their patients and works to improve patient experiences. As a designer at Remedy, I worked with a small team to rename and rebrand the former National Research Corporation. The final work resulted in several tactics, including: a new website, business papers, brand guidelines, and a suite of new templates inspired by the brand expression.